Digestive problems in a pet can often be some of the most common, and problematic for an animal owner. From lethargy to vomiting, diarrhea, and avoidance of food, the symptoms speak for themselves in their severity. That’s why prevention, rather than reaction, is key when dealing with digestive issues in dogs. One of the most obvious ways to prevent digestive upset in an animal is to stave off the consumption of garbage. Eating trash with harmful bacteria mixed in can cause Toxicosis, to name only one serious issue. 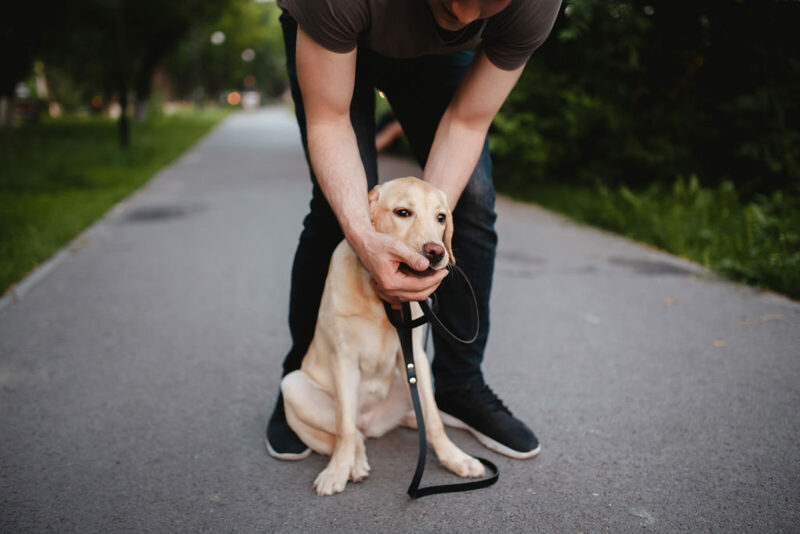 If your dog is trigger happy when eating trash on a walk, or tends to raid your home garbage cans, consider teaching them the command “leave it” with help from ample instructional videos online, or finding ways to lock indoor garbage cans from their grasp. Garbage isn’t the only harmful food your dog can consume. Even relatively bacteria-free items like clean socks, plastic children’s toys, and broken glass can cause huge issues in a dog’s digestive tract. The compulsion to eat non-food items actually has a name: Pica. Vets don’t recommend trying to get rid of it alone. If your adult dog is compulsively eating non-food items, schedule a visit to your vet for more information and tests. Consider your average American going out to the rare dinner of spicy Indian curry. It’s common that they’ll arrive home with an upset stomach. Now, imagine your dog, who eats the same food each day for months or years at a time. When that food changes overnight, the problems can be more severe than those that arise from human consumption of foreign food. In order to avoid stomach trouble from new dog food, attempt a gradual, weeklong transition between varieties. On day one, mix a little new with a lot of old. Each day following, increase the amount of new food until you are giving them only new food by day seven. If this still causes digestive issues, they should be far less impactful than an immediate switch. If your dog is exhibiting symptoms like vomiting, anorexia, fatigue, or sensitive stomach to the touch, they may have contracted Pancreatitis. This is one of the most common digestive tract issues for all dogs, and it can be very dangerous if not treated. If you suspect your dog’s Pancreas is infected, cut high fat food out of their diet, and schedule a visit with their vet. Bacterial infections and parasites can cause major problems in a dog’s digestive tract. Luckily, there are many ways to actively prevent their intrusion into your pet’s body. Begin by consulting a vet. They will often have ideas for preventative medication to keep your dog infection free. Also, keep your dog from drinking standing water, from puddles on the side walk to small retaining ponds. Animal feces is a major source of harmful bacteria and parasites, so keep your yard poop free, and do what you can to stop your dog from ingesting it where pre-cleaning isn’t possible. In the long run of pet ownership, your animal is bound to get sick to their stomach at one point or another. The focus for owners should be prevention with the help of a vet and hands-on training, and in cases where this doesn’t stop disease or infection, quick reactions are key for healthy recovery.